One of the speediest ways to feel the benefits of cannabinoids, this fast-acting concentrated liquid offers strong relief from pain and inflammation. Its effects are felt throughout the entire body within fifteen minutes, and dosage can be customized based on personal preference to last over three hours. Add it as an earthy, rich ingredient in craft mocktails and smoothies or drop it sublingually underneath the tongue. 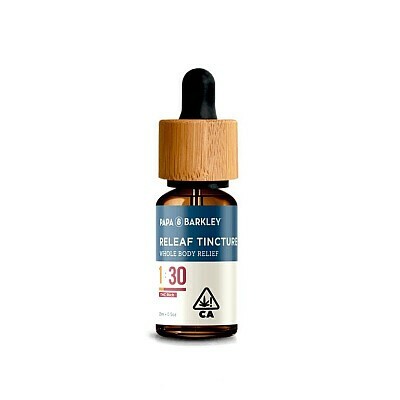 Our tincture stands out because it’s made with MCT oil, which helps your body metabolize the cannabinoids quicker that in-the-know call its bioavailability.